Frederick Dillen: What Are You Reading? 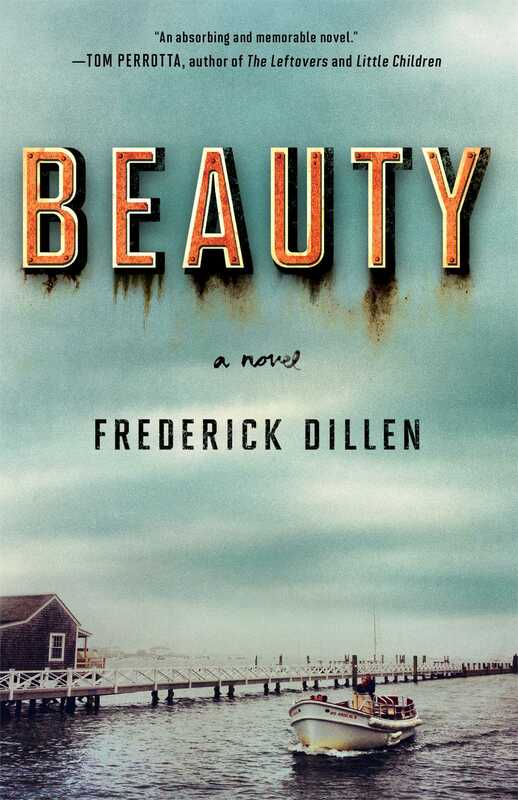 Gloucester Inspires Novel: Beauty What Would You Sacrifice for a Second Chance? An “absorbing and memorable novel” (Tom Perrotta, author of Little Children) set in the world of corporate intrigue, about a woman who must choose between her dream job and everything else—her savings, her reputation, and an unexpected chance at love. It could have been any factory anywhere. Carol MacLean had been shutting places down for that long. And after all these years, each place hurt more than the last. The good news was that after two more burials, this one and the next, she would finally get her own company, which was everything she could want. Today was the Battle Bay pulp and paper mill in northern Wisconsin, and after a breath, she went into the lunchroom to deliver her news. She had come expecting to introduce herself and finish this hardest part of things in a couple minutes. Instead she pulled a metal folding chair to the wall behind the men. They couldn’t have numbered more than forty, and they didn’t begin to fill this lunchroom that had once served several shifts. At the other end of the room, the owner stood on another folding chair. He wasn’t dressed much differently than his men, and he looked at them as if he knew them. There was nothing of practical value he could say, but he had wanted to talk to these last few, which didn’t happen all the time, and Carol had thought it was a sympathetic gesture. Then he began with “Here we are,” and was already choked up. He cared about his men, but it seemed he cared too much. Carol sat forward in her chair. She was already alert in the usual ways. Once you came through the door, if you didn’t project authority, you knew it and the men knew it, and that made everything worse for everybody. She also reached in her pocket to check that her phone was off. When it came time for her to say what she had to say, the men should know they were all that was on her mind. The owner said, “Most of you knew my father. But my grandfather . . .” The men shifted in their chairs. The owner said, “With your skills and dedication,” and made something like a sob. Carol walked to the front of the room. Carol reached him and said, “Why don’t you let me take over?” He looked confused, and she held up a hand to help him off his chair. He took her hand and stepped down and walked to the door, and Carol climbed up on the chair in his place. They got up, and when they were up, they stood. They were the oldest and the last, and they just didn’t want to leave yet. Every man she could, she looked in the eye. Her father had been a machinist for a supplier outside Detroit. He had died at his bench because that was who he was and what he did and, finally, all he had besides his four packs a day. To the men here, Carol said, “I’m sorry,” and she meant it. In her heart she also said it to her father. It was out of bounds for Carol to tell herself that she hurt when she closed places down and fired people, but she did, and it felt as if all of the closings and firings had piled up on top of her. One more, and she’d be out from underneath them. Instead of an undertaker she’d be a CEO. All right, she’d be a back-door CEO in some ­pocket-size outfit, nothing the equity partners at Baxter Blume could ever dream of wanting, but Carol had always dreamed of it. A few at first, and then all of them, turned and left, and Carol got down from her chair. When she reached in her pants pocket to turn on her cell, it vibrated. Baxter. Neither Baxter nor Blume nor any of the rest of them ever went near a plant floor with bad news. They would not have admitted it, but Carol could tell they were frightened of the workingmen they put out of work. Carol came from workingmen and wasn’t frightened. After coming up as a parts salesman for the Best Motor Company, she had what once seemed like the best job she’d ever get, as the lowest of Baxter Blume’s executives. Baxter’s joke was to ask how many bodyguards she needed each time she told men their jobs were history. Was it a five-­bodyguard event? Five was the high. She played along because, behind the joke, Carol believed Baxter respected what she did, delivering the news, and then the slog of disposal that came afterward. Not that there really were bodyguards today or most days, though in a few places she had gotten people to watch her car for the duration. Today she said quickly, before Baxter could get into his banter, “The next company after this is the last.” As she spoke, Carol remembered the heartbreak in the owner’s face and the emptiness in the faces of the men. Baxter said, “I’m thinking four bodyguards. I can feel it from here.” There was laughter in his background. Carol pocketed the phone and took a breath and moved on. Frederick Dillen is an award-winning author whose short fiction has appeared in literary quarterlies and Prize Stories: The O. Henry Awards. His first novel, Hero, was named Best First Novel of 1994 by the Dictionary of Literary Biography. His second novel, Fool, was honored by Nancy Pearl as a Book Lust Rediscoveries selection in 2012. Dillen and his wife, Leslie, are parents of two grown daughters and live in New Mexico. "BEAUTY is a heart-bursting gem of a novel—a love story, a riveting tale of high stakes intrigue, and a hero's journey that spins a contemporary twist on timeless values rooted deep in the American soul. Dillen’s tightly crafted narrative is the modern working woman’s Rocky. You will root for these vivid, off-beat characters waiting to leap up from the last pages with a fist pumping cheer for their hard earned redemption." "This book is a jewel that shines brighter with each turn of the page!"